Veni, vidi, vici, vini. I came, I saw, I conquered, I wined. 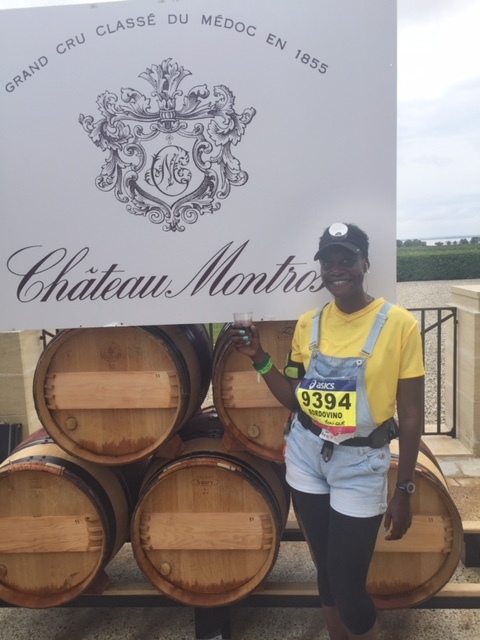 That pretty much sums up my experience with the Marathon du Médoc, the latest destination conquered on my quest to run the world. 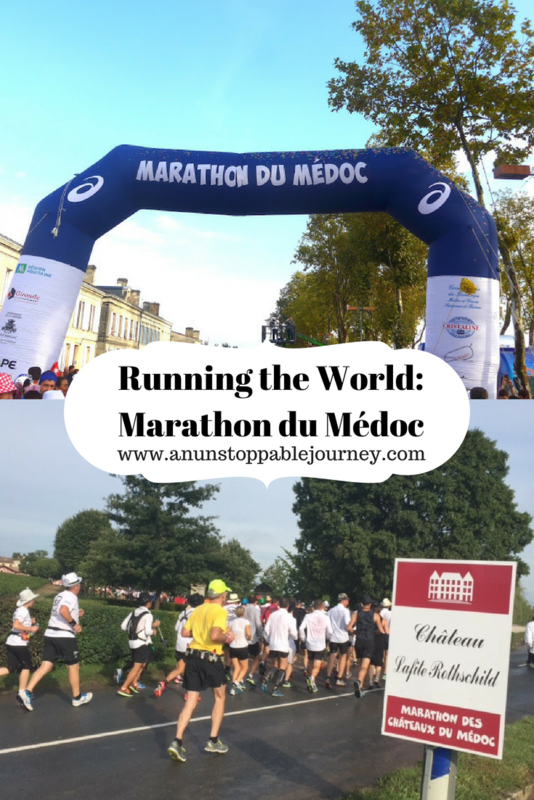 As someone whose schtick is running, travel and wine, Marathon du Médoc had long been on my radar, and Winerist*, the company that provides the world’s best wine and travel experiences, provided me with the opportunity. 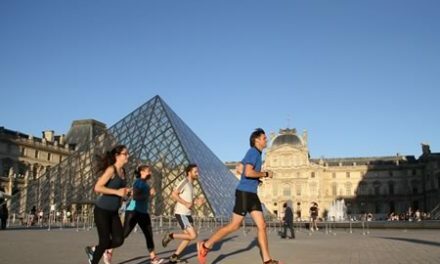 RUN A MARATHON WHILE DRINKING WINE?! 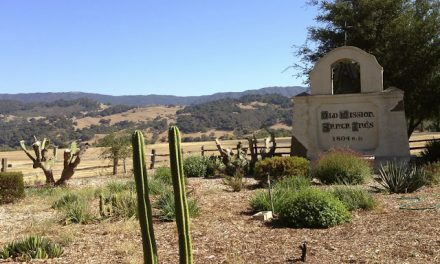 BUT SERIOUSLY…RUN A MARATHON WHILE DRINKING WINE?! Despite what was pretty much an official sanction to take things slow, I was a bit nervous in the days leading up to the marathon because I hadn’t sufficiently trained. 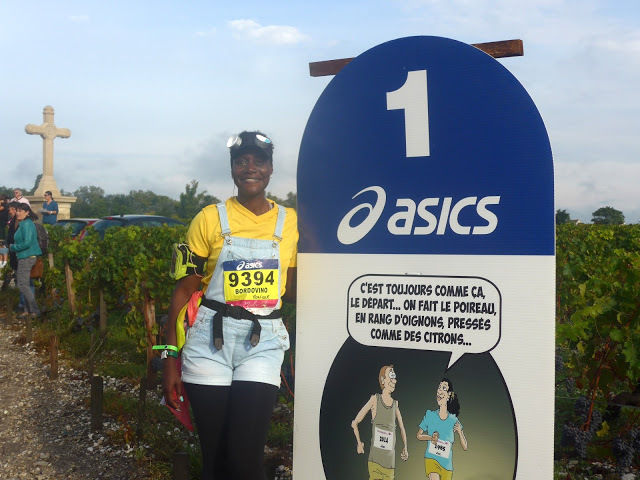 As I learned with Marathon desAlpes-Maritimes Nice-Cannes, shorting the long training runs is a recipe for disaster. However, my sole-sister Hannah, who was a member of #TeamMoTravels for the Prague and Milano City Marathon relays, which I organized, assured me I had no cause for concern. She shared her strategy, which was to finish just minutes before the 6 hour and 30-minute cut-off time, and reminded me that it was “ a fun marathon” and suggested that I “chill out”. 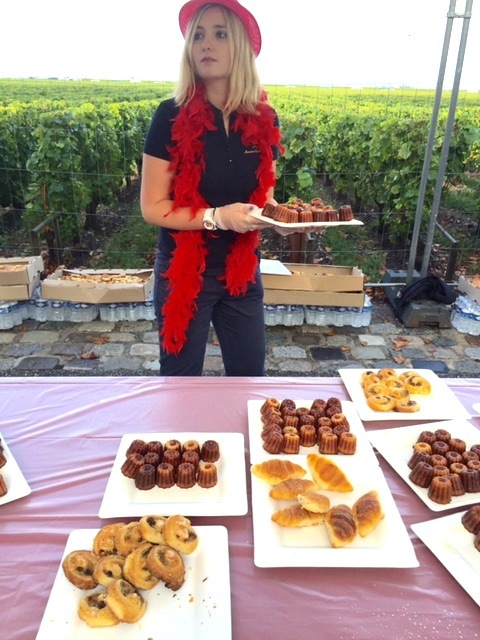 Since Hannah is a Marathon du Médoc veteran, making her fourth appearance at the event, her advice calmed my nerves. 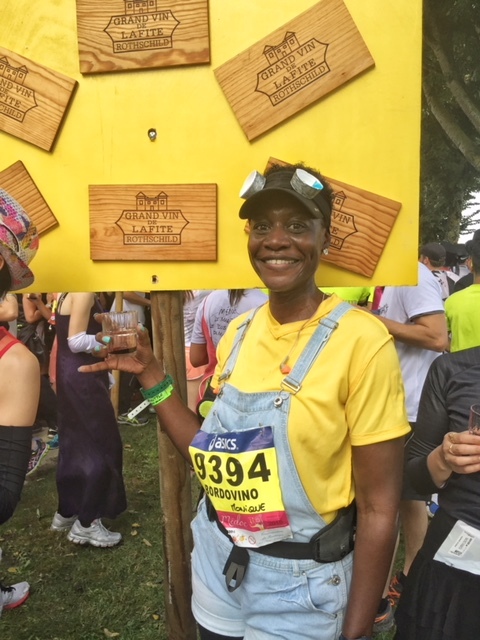 I “ran” with that longest-marathon-in-the-world theme, taking things at a VERY leisurely pace, because really, what’s the point of rushing through a marathon with more than 20 degustation stops flowing with liquid gold. 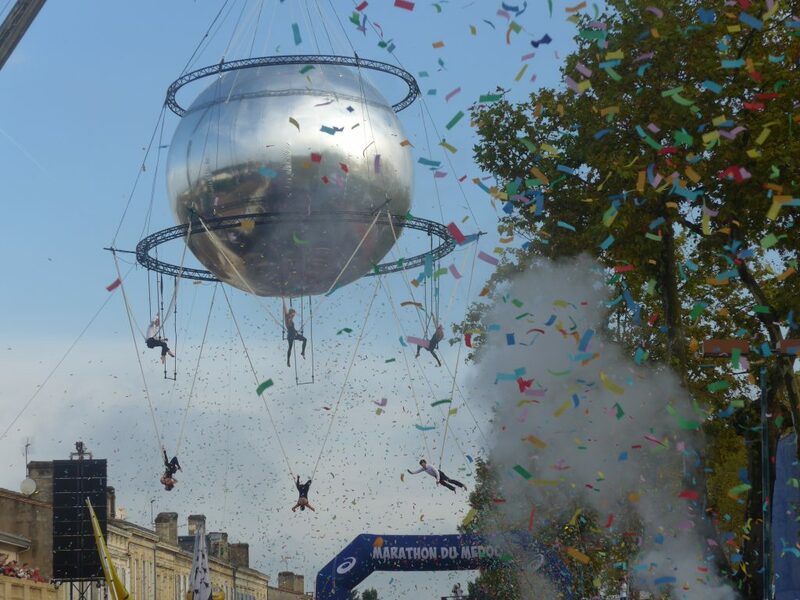 The party marathon began with a spectacular send-off as aerial silk performers glided up, down and around an enormous silver ball to the beat of Michael Bublé’s “I’m Feeling Good. 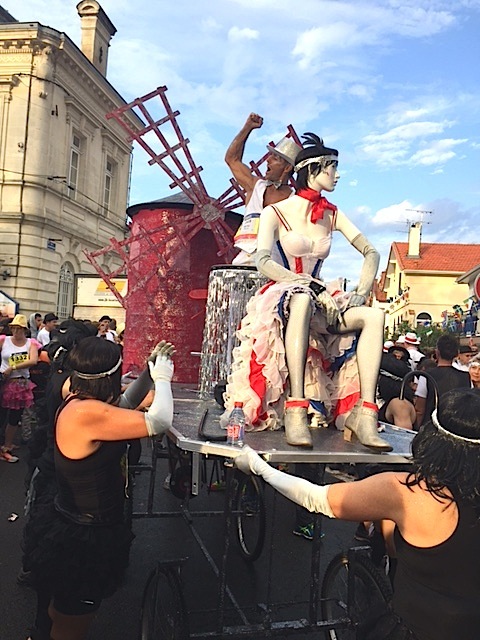 And between the performers in the air and the characters surrounding me on the ground, including a group dressed like Can-can girls, complete with their own Moulin Rouge with spinning blades, it was full-on sensory overload, and I was definitely feeling good. 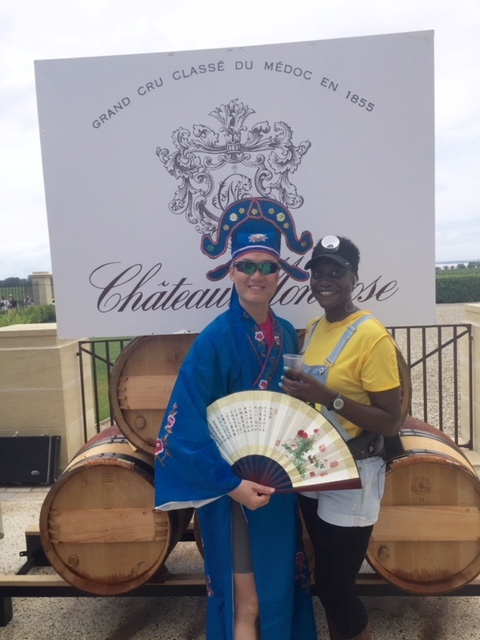 The scenic course wound through vineyards on the verge of harvest, past grandiose chateaux befitting the excellent wines produced there, as we imbibed a variety of vintages en route, and indulged in local specialties such as cannelé bordelaise, cheese, and oysters. A couple of hours into the marathon, it began to rain. Buckets. The weather didn’t dampen the mood (too much), but it did help make the marathon that much longer as I stayed at a couple of vineyards for an extended period, enjoying shelter from the rain, music from the bands providing entertainment along the route, the company of fellow participants also seeking a reprieve from the rain, and of course, wine. 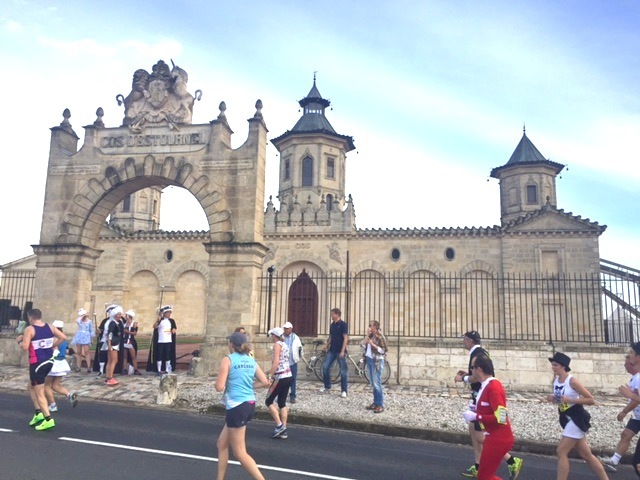 Starting at around the 3-kilometer mark, the wine flowed freely. However, things dried up – both in regards to rain and wine – between kilometers 16 – 21. 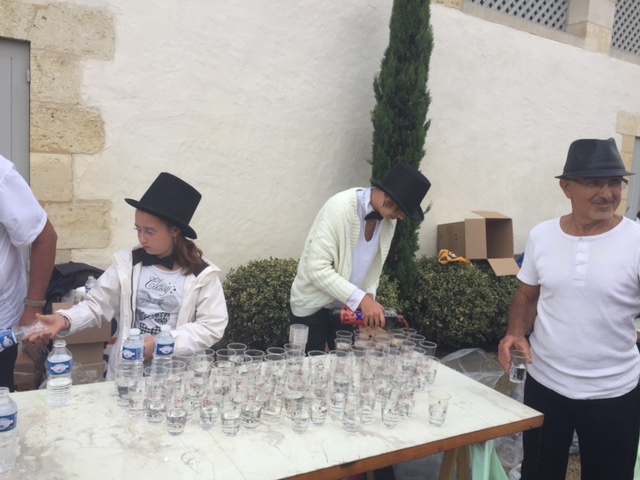 As an American, I appreciated the coincidental humor of no alcohol at those particular kilometer markers, and as a runner, with the rain abated, and no vineyards or degustation stops for a few kilometers, I appreciated the opportunity to make up for some of the time spent merrymaking. 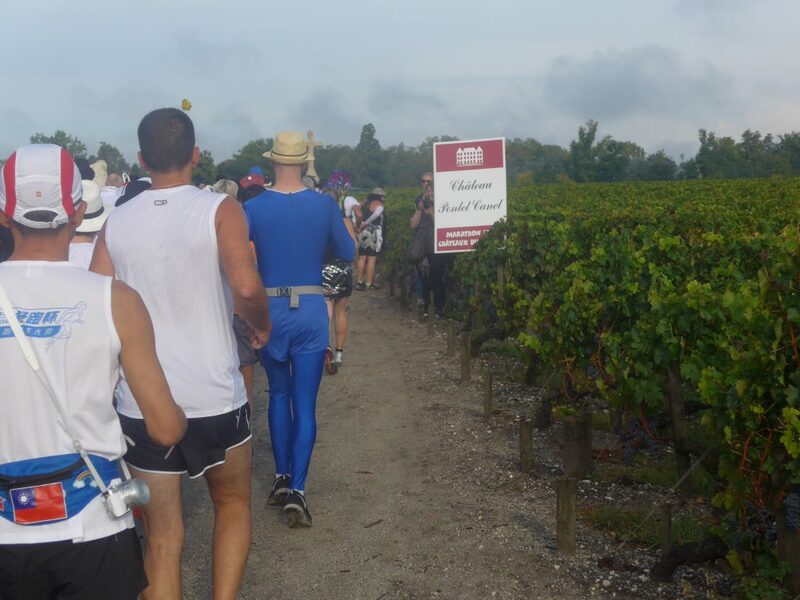 RUN A MARATHON WHILE DRINKING WINE AND WEARING A COSTUME?! 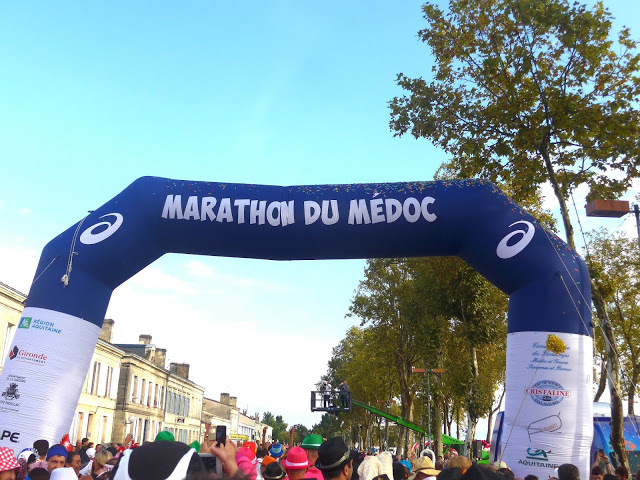 In addition to being another destination conquered on my quest to run the world, and despite saying it was a “one and done” deal when I ran the Amsterdam marathon five years ago, Marathon du Medoc makes marathon number 5. 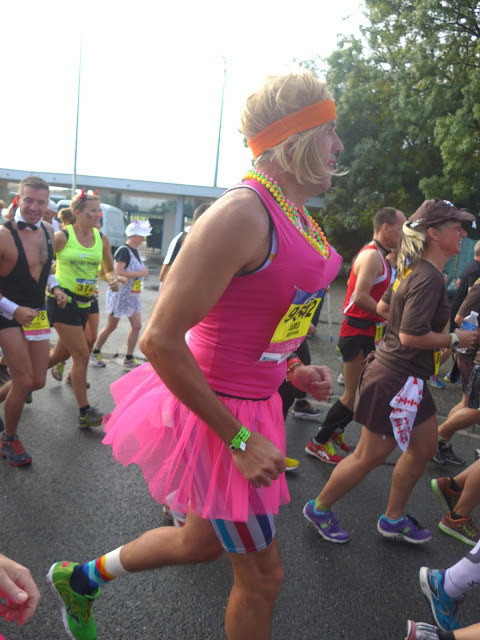 It also adds to the growing list of races where I ran in a costume, including the Disney Princess Half Marathon and Rock ‘n’ Roll Nice 10 Miles du Carnaval. It was clear that for many, more effort was spent on their costume as opposed to their training. Runners dressed according to the theme in everything from tuxedo shirts and cocktail dresses to fascinators and boas. Then there was the group of guys all dressed in tails, giving a flash of tail to those running behind them (every pun absolutely intended). There were also a number of people dressed as brides and grooms, with one wedding party even running with its own limo. My Minion getup, comprised of things pieced together from my closet, could not compete with most of the costumes, but it was fun to see how creative and kooky some people got. GET A BOTTLE OF WINE AFTER RUNNING ALL THE MILES AND DRINKING ALL THE WINE?! 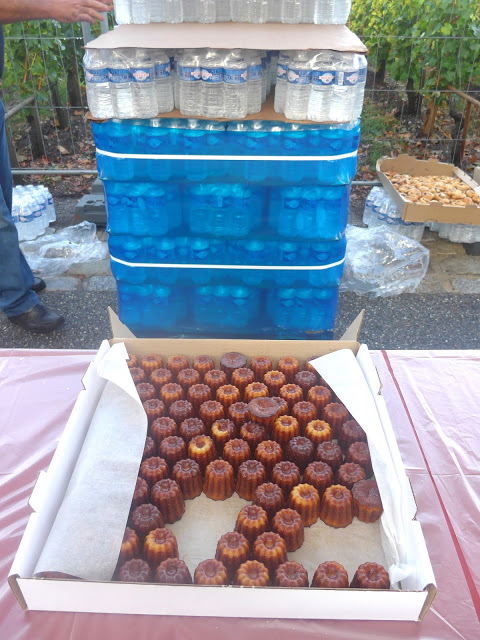 Upon completion of the race, another destination conquered in my quest to run the world, I collected the loot. 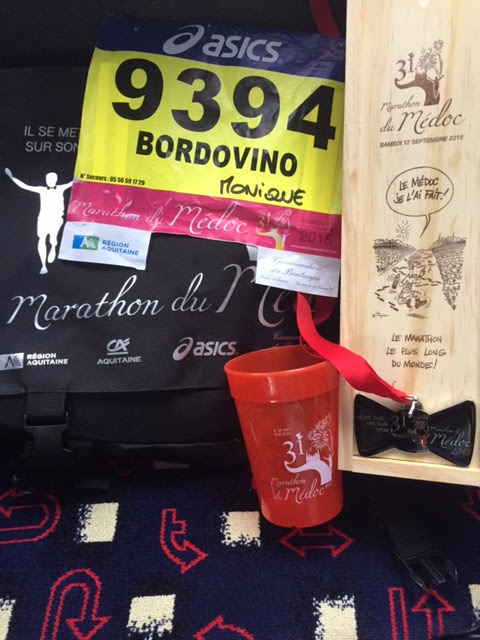 In addition to the finisher’s medal, participants were presented with a t-shirt, messenger bag and a souvenir bottle of wine. The best race goody bag I’ve ever received, by far. 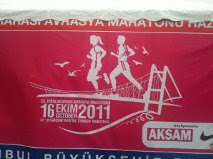 If you want to experience the longest marathon in the world, register here. 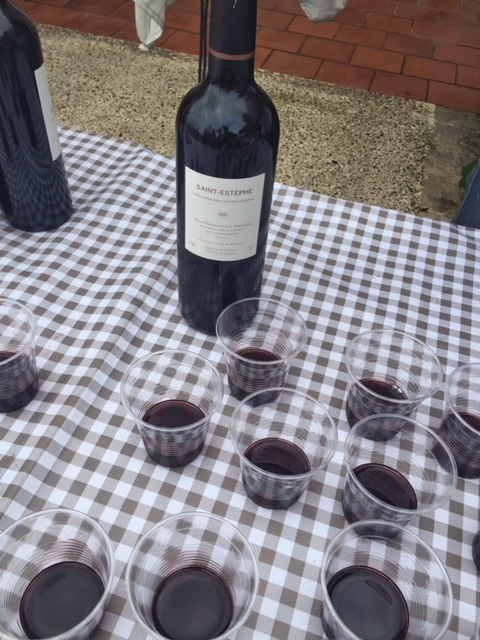 And while you’re in the region, consider taking one of the Bordeaux tours offered by Winerist. 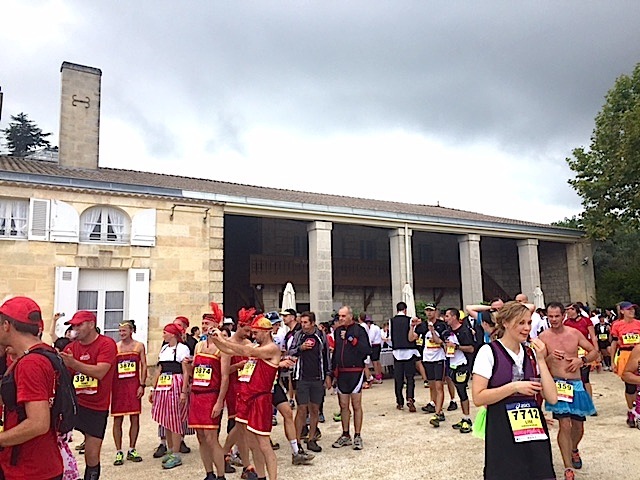 *I was provided with a complimentary entry to Marathon du Médoc. I was not asked to express any particular point of view, and as always, all thoughts and opinions (and race results) are my own.